Google and Lenovo teamed up to create an $80 smart alarm clock. The clock will go on sale this spring. LAS VEGAS - Google and Lenovo have teamed up once again. 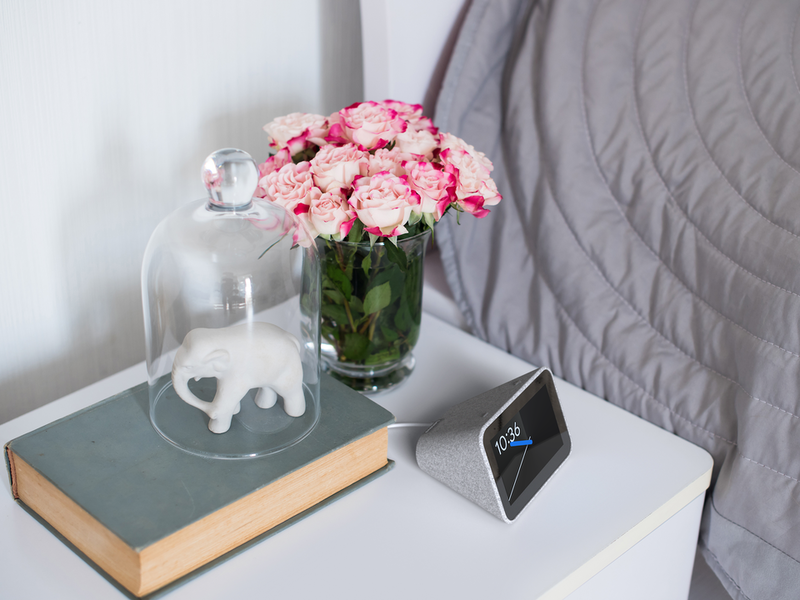 At the 2019 Consumer Electronics Show, Google unveiled the Lenovo Smart Clock, a touchscreen alarm clock with Google Assistant built in. The clock, which will cost $80 when it goes on sale this spring, can tell the time and weather, play podcasts and the news, and control your smart home devices. Over time, the clock will offer alarm suggestions based on your routine each day, and it will have the ability to wake you up "gently" using brightness and animations rather than sound. Notably, the clock can't play YouTube videos and it does not have a camera. The clock is covered in a soft, gray cloth and has a 4-inch display. It looks a lot like the Google Home Hub, the smart display Google announced in October, as well as Google and Lenovo's first smart display, which was announced last year. The clock joins almost a billion other devices now running Google Assistant, a figure Google announced ahead of CES 2019's official opening on Tuesday. It's worth noting that while the Lenovo Smart Clock is the first smart alarm clock with Google Assistant, it's not the first on the market: Amazon introduced the Echo Spot, a $129 softball-sized smart clock, more than a year ago. It's early days at this year's CES, but Business Insider will continue covering all the major developments at the show throughout the week - you can follow all of our coverage right here.